Bullion - Gold and Silver bars, rounds etc. In a range of packaging and sizes. Bullion There are 31 products. 2015 $1 Australian Wedge-Tailed Eagle 1oz Silver Bullion Coin The Wedge-Tailed Eagle is Australia’s largest bird of prey and one of the biggest eagles in the world. 2014 $1 Australian Kookaburra 1oz Silver Bullion Coin in Capsule This year’s stunning new kookaburra coins represent an unrivalled combination of quality, design and choice. 2014 $1 Year of the Horse 1oz Silver Bullion Coin in Capsule These magnificent silver coins celebrate the Year of the Horse, the seventh animal in the 12-year cycle of the Chinese Zodiac. 2016 $1 Australian Wedge-Tailed Eagle 1oz Silver Bullion Coin The Wedge-Tailed Eagle is Australia’s largest bird of prey and one of the biggest eagles in the world. 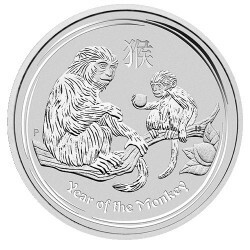 2016 $1 Year of the Monkey 1oz Silver Bullion Coin in Capsule. These magnificent silver coins celebrate the Year of the Monkey, the ninth animal in the 12-years cycle of the Chinese zodiac. 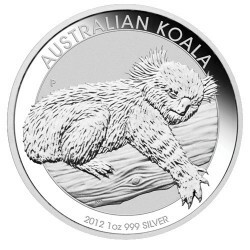 2012 $1 Australian Koala 1oz Silver Bullion in Capsule The latest release in the Perth Mint's Bullion coins featuring the Australian Koala. 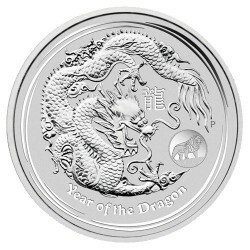 2012 $1 Year of the Dragon 1oz Silver Bullion - Lion Privy Mark This latest Dragon bullion coin, adds to the highly successful Australian Lunar II 2012 Year of the Dragon range. 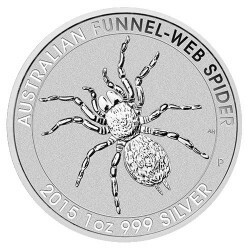 2015 $1 Australian Funnel-Web Spider 1oz Silver Bullion Coin in Capsule Australia has more than 40 species of funnel-web spider which fall into two genera : Hadronyche and Atrax. 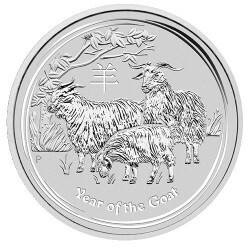 2015 $1 Australian Lunar Series II Year of the Goat 1oz Silver Bullion Coin in Capsule. The Australian Silver Bullion Coin Program offers investors a unique combination of quality, convenience and choice. 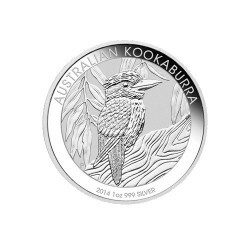 2015 $1 Australian Kookaburra 1oz Silver Bullion Coin in Capsule. 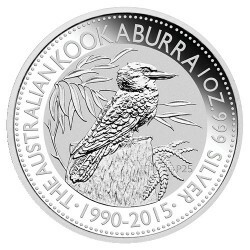 In 2015, The Perth Mint celebrates 25 years of the Australian Kookaburra bullion series with the release of three bullion coins featuring the original design from 1990.